Thanksgiving is a holiday celebrating the collision of families and food, as well the intersection between evaluating what good has come into one’s life and how one can pay that good forward to someone who may need it most. While there are the mainstays of can drives and soup kitchens dotting the nation’s most charitable corners, let’s zero in on some of the scene’s largest philanthropic efforts driven by some of the its biggest players. Jack’s Mannequin’s runaway smash debut Everything In Transit celebrated its 10th anniversary this year. Two months before the album was released, lead vocalist and pianist Andrew McMahon was diagnosed with acute lymphocytic leukemia. In the wake of this news and several bouts of chemotherapy, McMahon started the Dear Jack Foundation, a charitable organization created in order to help fund the treatment of adolescents living with various forms of cancer. Seeing as 72,000 young adults receive a cancer diagnosis every year, McMahon seems to recognize that every positive effort–and donation–counts. Like Jack’s Mannequin, Simple Plan’s fanbase exploded in the early to mid-2000s. 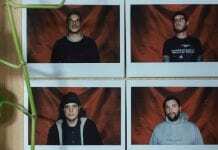 In tandem with their worldwide success, the pop-punk five-piece banded together to start a charitable venture which took their name–as well as youth-driven lyricism and image–to the next level. The Simple Plan Foundation works to assist youth in inner-city environments through donations to social and medical programs while also giving these individuals a new-found sense of purpose through musical training and, in many cases, counseling services to cope with addiction, alcohol abuse and mental health issues. Over the years, the band has spearheaded initiatives to spread the gift of music to the less fortunate in other ways, such as delivering cochlear implants to deaf and hard-of-hearing children across Canada and select European countries. Simple Plan’s blueprint to giving back has mapped out past their performance-driven mindset. In addition to participating in 2004’s Live 8, a worldwide concert televised to fight poverty, the group also funded relief efforts surrounding the South Asia tsunami disasters and continue to grant the requests of terminally ill children via the Make-a-Wish Foundation whenever possible. While the Vans Warped Tour has granted “skip-the-line” passes for those who donate non-perishable items to Feed the Children over the festival’s summer routes, other nationwide tours and benefit compilations have been created to better various communities and beyond. Hopeless Records–best known for releasing albums by the Wonder Years, All Time Low and Taking Back Sunday–founded a non-profit imprint, Sub City Records, in order to take action regarding various issues affecting the outskirts of their listening circles and the world engulfing them. They aren’t alone in this, with the Take Action Tour (and for many of those years, the sense of accompanying various artists compilations) working since 2002 to promote positive efforts to bring awareness to devastating events such as teen suicide. 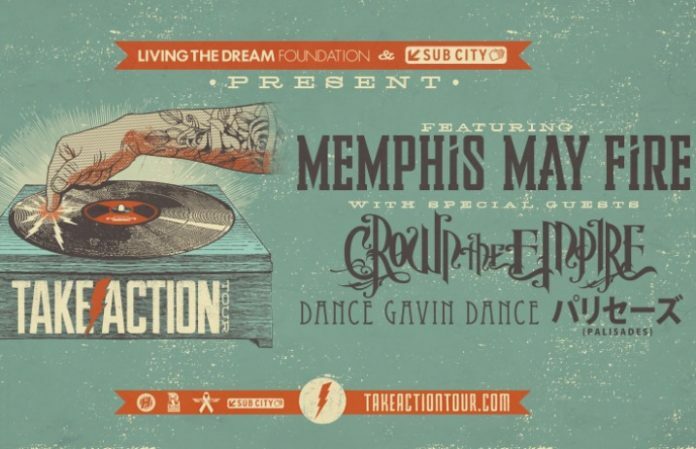 This year’s lineup included Crown The Empire and Dance Gavin Dance, with all proceeds from the spring tour headed to the Living the Dream Foundation, which seeks to connect the music industry with fans who have terminal illnesses. 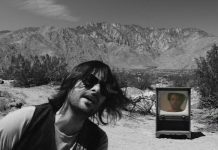 Big Footprints Project–a venture started by Modern Baseball vocalist/guitarist Brendan Lukens–has donated to 1BlueString, an organization which denotes the one in six males who are victims of sexual assault with a colored guitar string, as well as the Nature Conservancy via his label’s Big Comps. These generous digital collections—featuring exclusive music from everyone from American Football to You Blew It!—are not only a testament to one person’s curative and charitable goals, but to all of the many leading record labels involved in these endeavors. 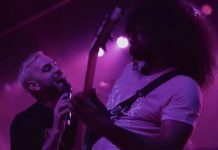 While GoFundMe campaigns are running strong to help bands replenish their gear stocks or in the case of the Ghost Inside, recover from a heartbreaking and earth-shattering accident, there are many other concurrent efforts to lend a hand. So maybe instead of getting that new band T-shirt, we all try to help the causes are favorite musicians are working on. Their efforts to either kickstart or fund existing charitable organizations may help us inch closer to becoming a true family, both through music and beyond it.